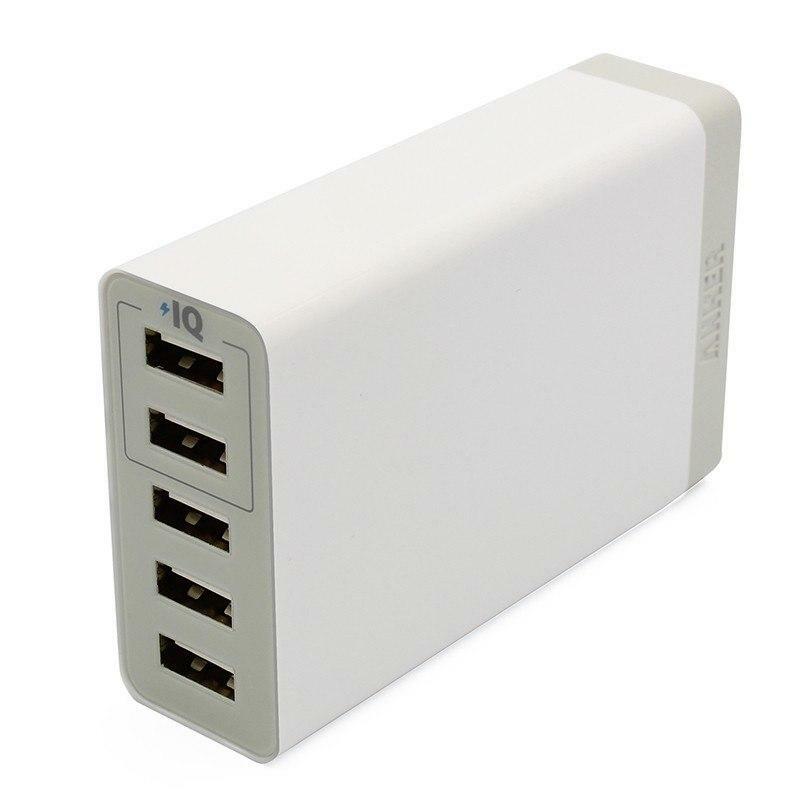 5V/2.4A output; Charge at full speed for IOS & Android devices with 2 PowerIQ ports; total 5 ports to meet all your needs. 3. Do I need QC 2.0 quick charge? 4. What does it have to do with power (Watt)? 5. What are the key factors to determine charging speed? 6. 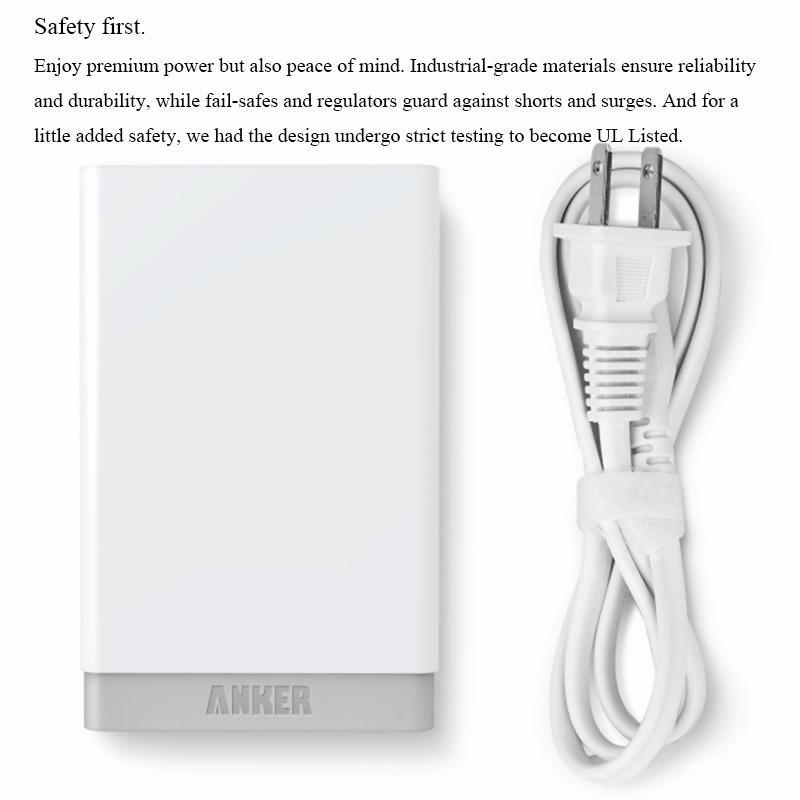 About Anker customer service? Anker offers 18 months warranty and lifetime user support for all Anker customers. 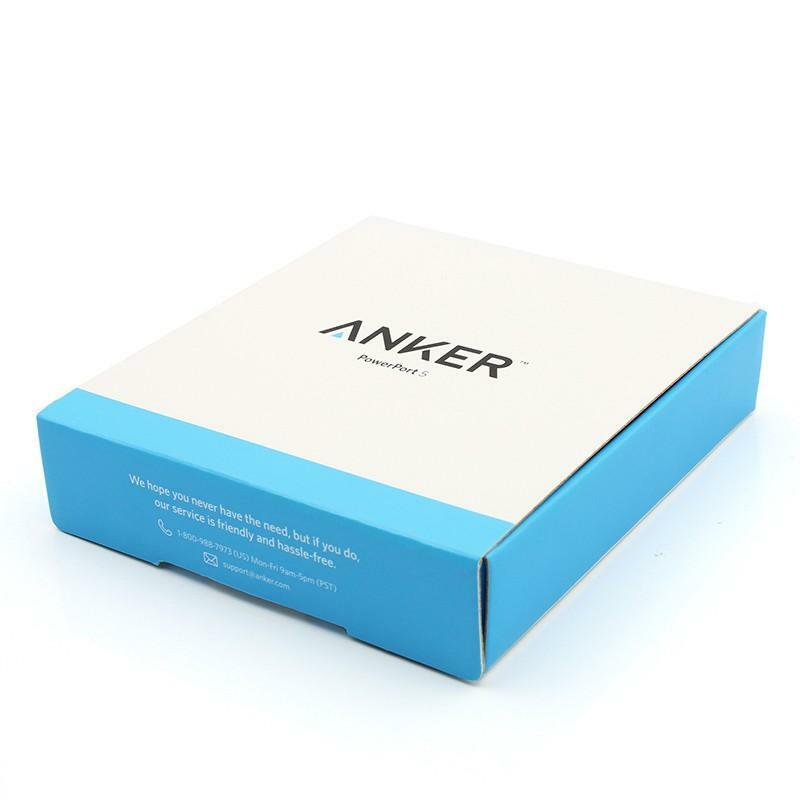 Most consumer electronic products come with 6 months warranty, Anker has great confidence in product quality and decicde to extend warranty time to 18 months. 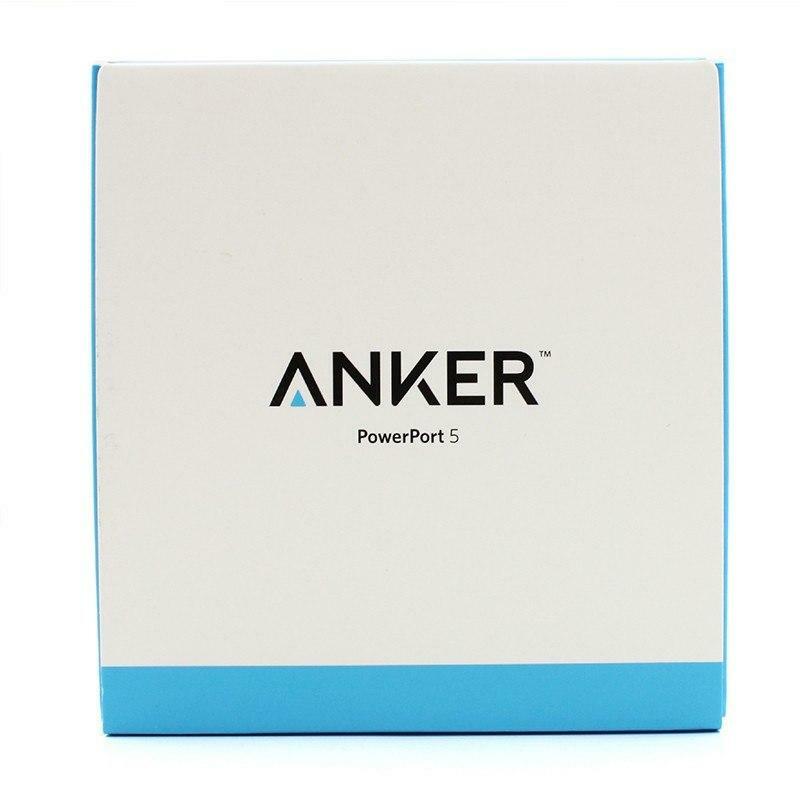 For any Anker items sold in our store, you can contact us for Anker customer service or contact Anker directly. Q1. 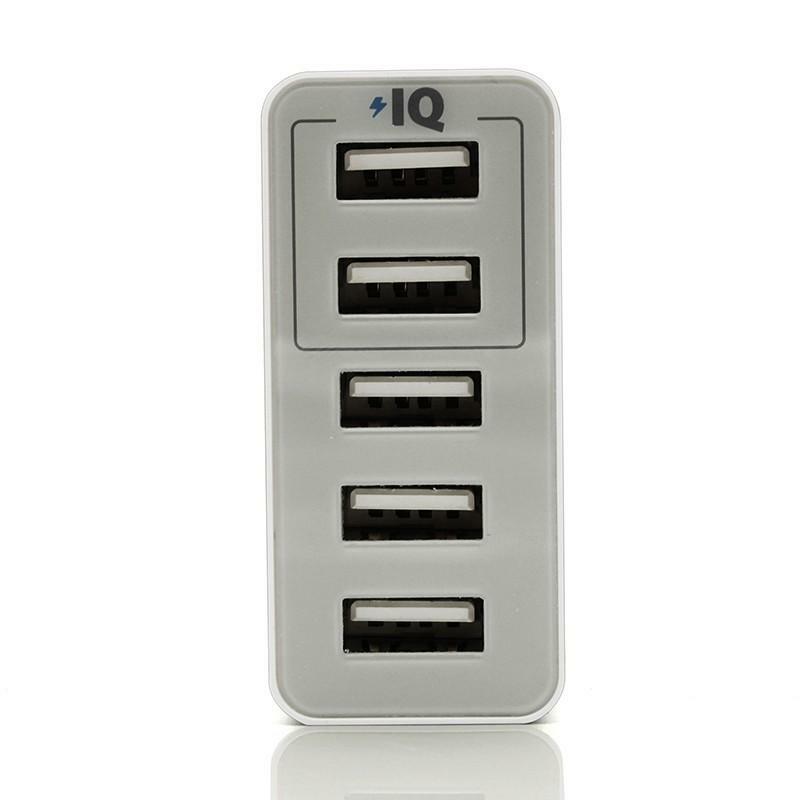 What is the difference between the IQ ports and the standard ports? 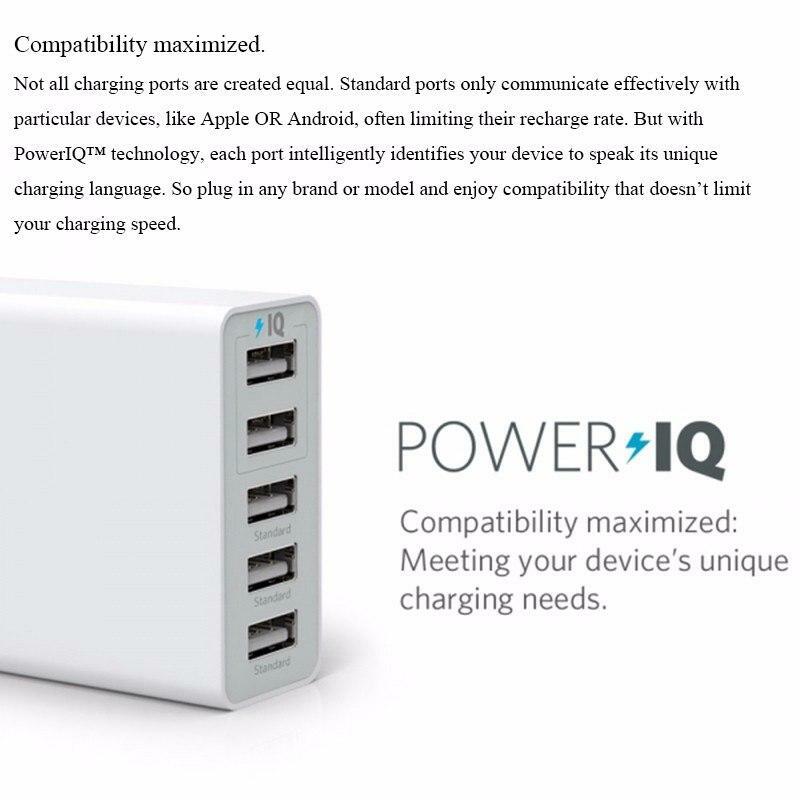 PowerIQ™ Ports: Can charge any device at speeds of up to 2.4 amps, will automatically determine your device's optimum input and provide it accordingly. 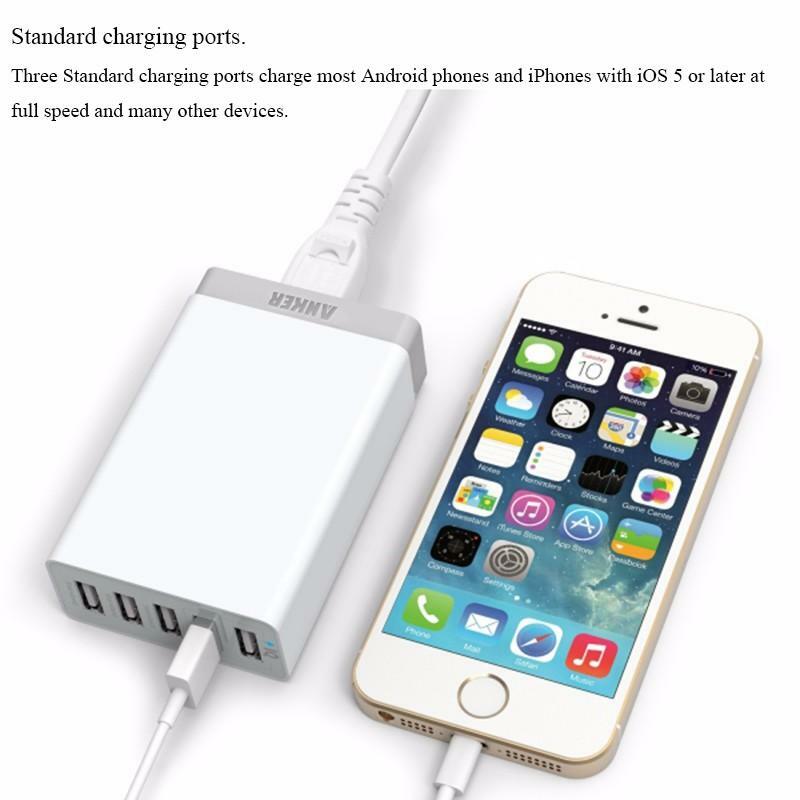 Standard Ports: Capable of charging most Android phones and iOS 5 or later at full speed as well as many other devices. Q2. 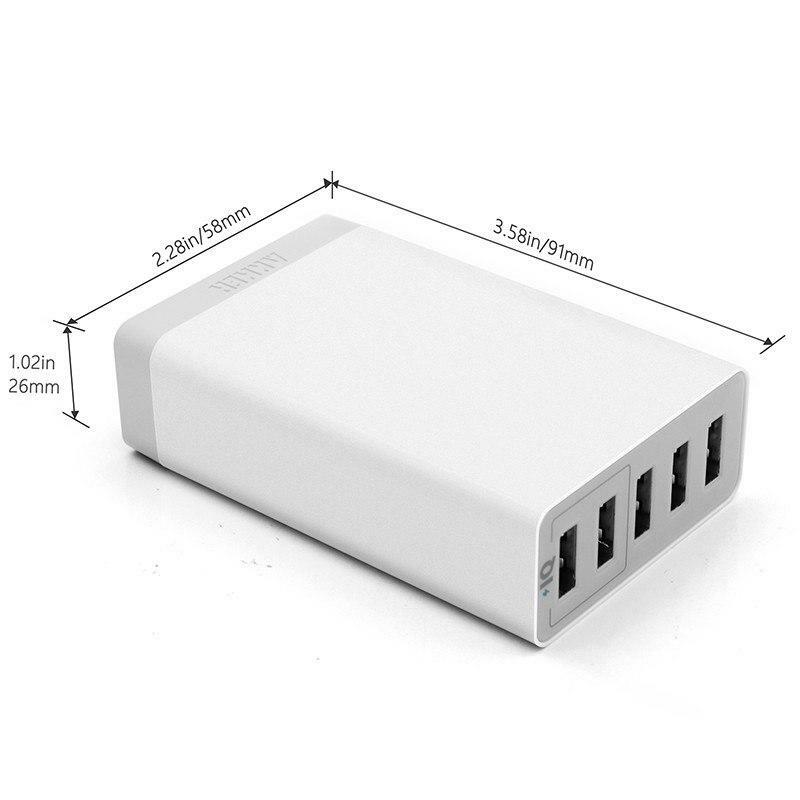 What kind of USB charging cables should I use with this charger? Q3. 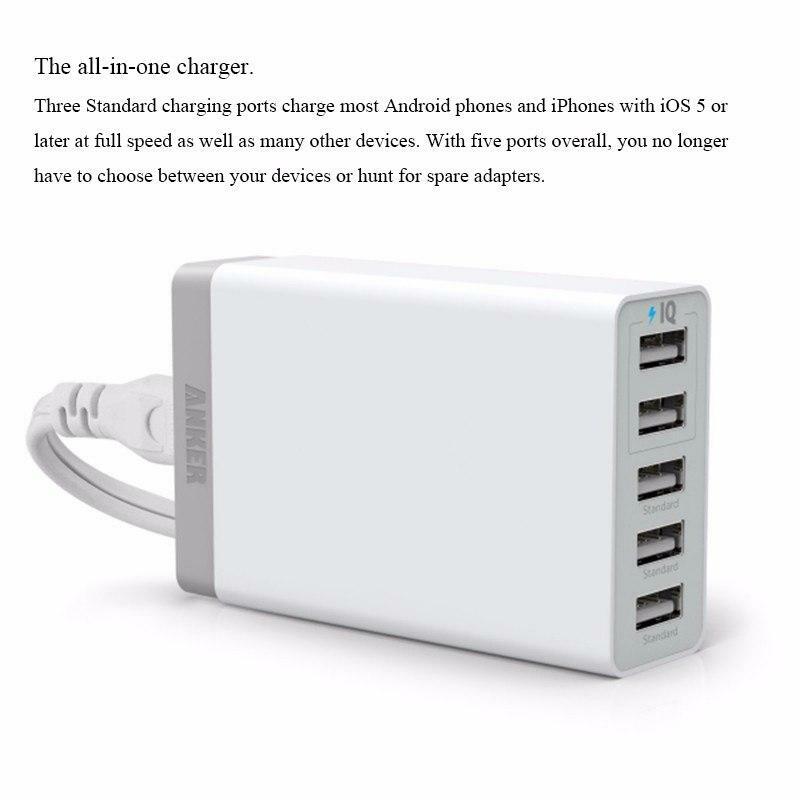 What if the Anker 5-Port Desktop Charger is not charging my device(s)? A. 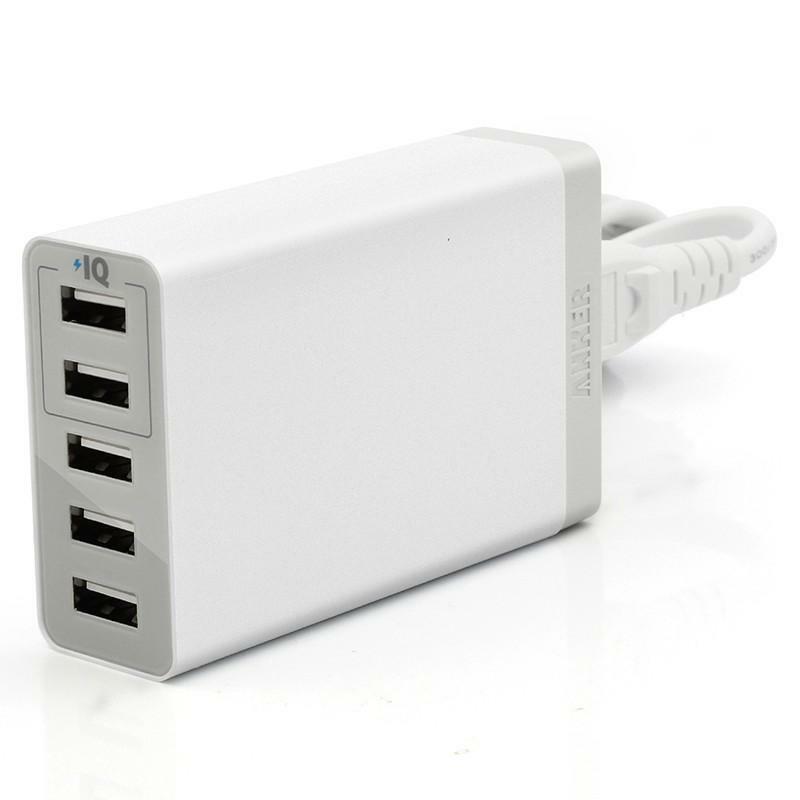 Check to ensure that your device is USB-powered with a power input of 5V and between 0 and 2.4A. B. 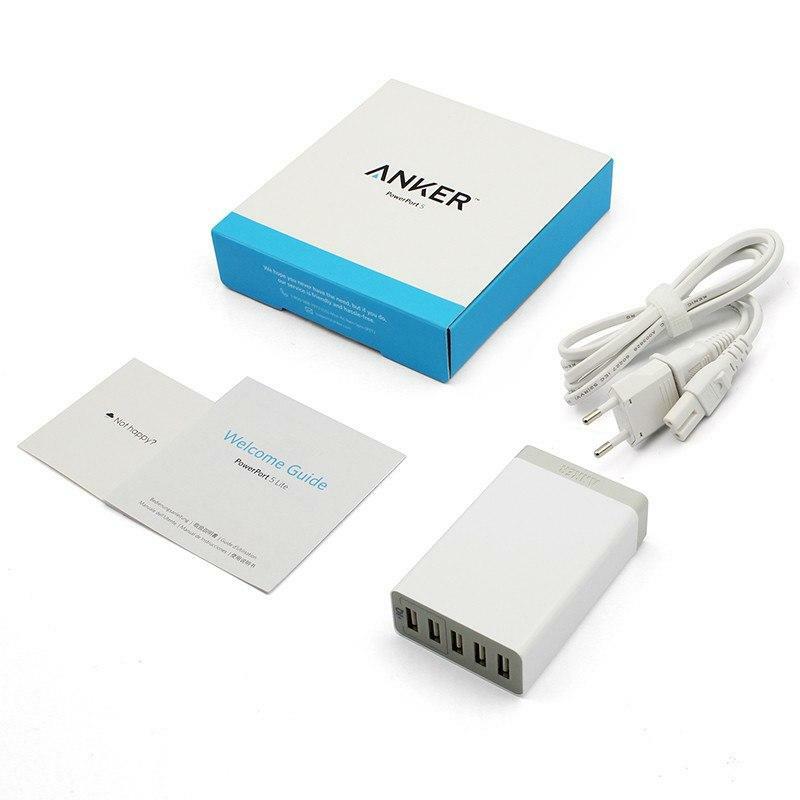 Check to ensure that the power cord isn’t broken, is connected to an active wall outlet and also firmly connected to the Anker 5-Port Desktop Charger . Q4. Why are my smartphone devices charging slightly slower from this charger than the original charger that came with my device? The heightened sensitivity of these devices to voltage input may in some cases slow their charging speed. Q5. How do I check my device’s input current and voltage? Q6. 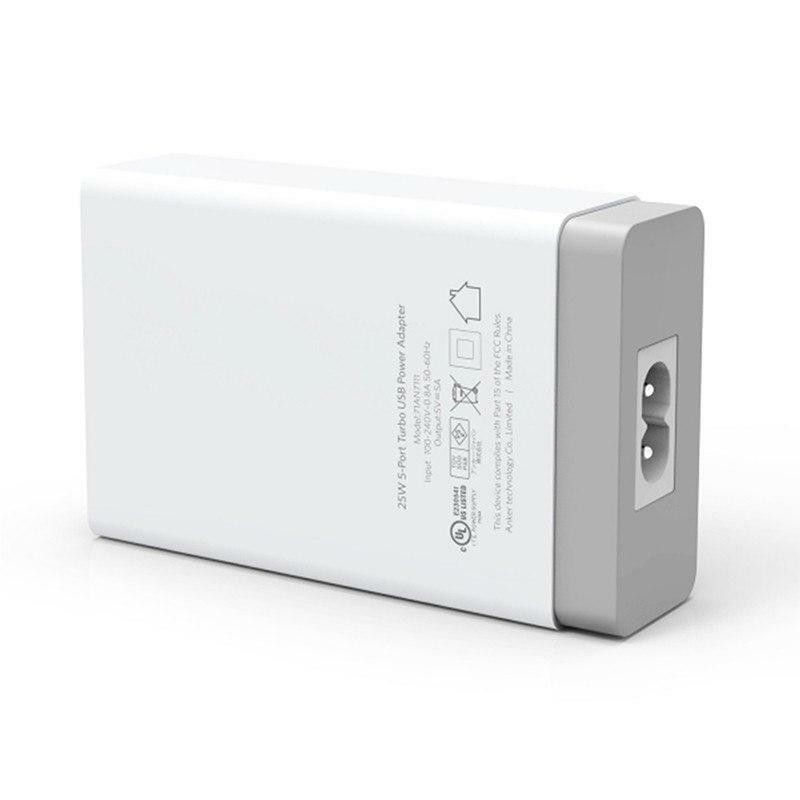 My device charges at 1 Amp, will this charger’s 5 Amp output harm it? 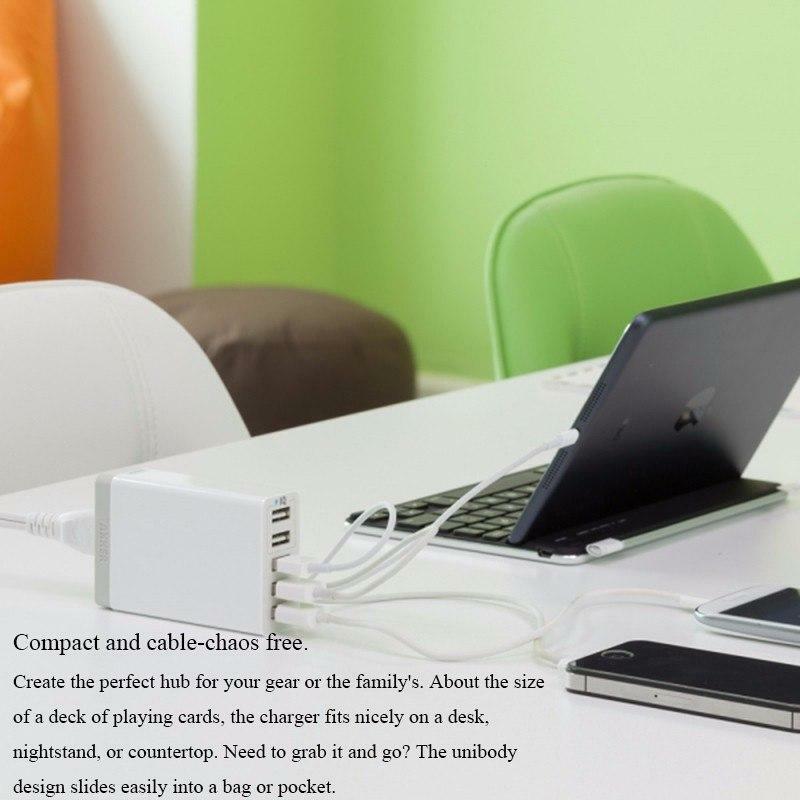 No, the charger will only supply the maximum charge current allowed by your device up to 2.4 Amps from each port. That is to say, if you use a 2.4A charger with a device drawing 1A, it will only draw 1A. Q7. How can I find the same power cord if I lost the original one that came with the 25w charger? It is a standard C7 cord, they're easily available online. Q8. When the charger is plugged into an outlet but has no devices plugged in, will it consume power? What is the standby power consumption? The charger will consume almost no power in this state. Its standby power consumption is rated at 0.5W. Q9. Can I use this charger in other counties? Yes, this charger is compatible with 100-240V. However, the plug is designed for Singapore or other countries using UK plugs.